Breakfast is the worst meal of the day in my opinion. Don't get me wrong, I love brunching as much as the next basic b, but the thought of getting 4 kids fed and then dressed & out the door just raises my blood pressure. However, I find that when I have a PLAN in place, things go a bit smoother. We crank up Alexa, open the windows and try to get the day started on the right foot. 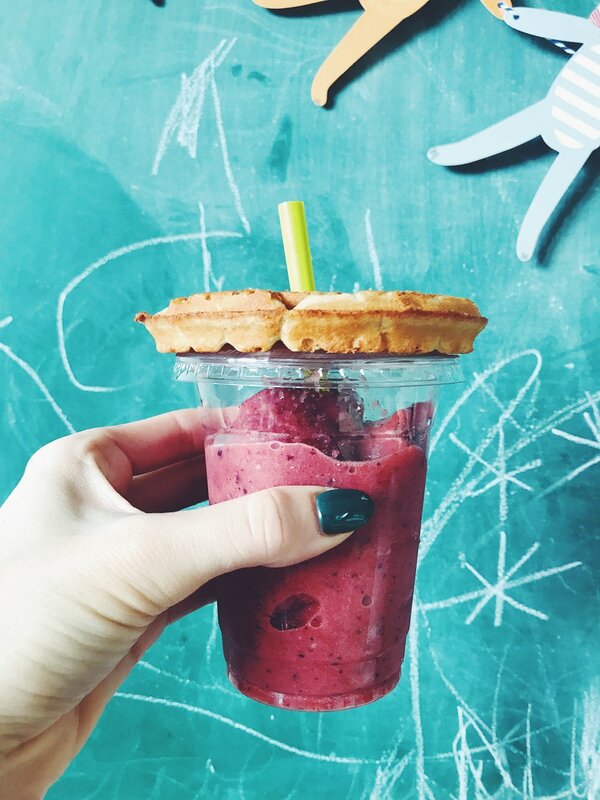 One of our favorites around here is smoothies & waffles - with a little twist! I usually blend up frozen strawberries with blueberries or mangos, throw in some coconut milk and fresh squeezed orange juice and top with a drizzle of honey. 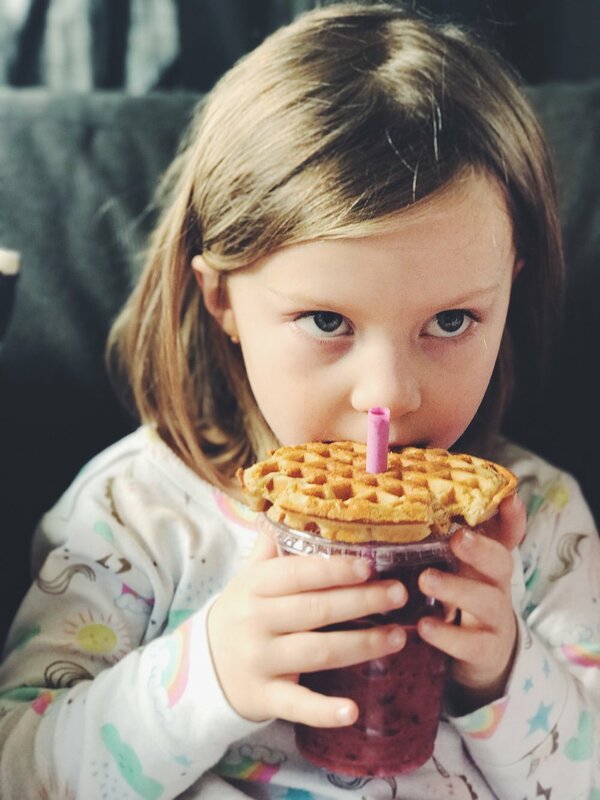 We love the frozen Kodiak Cake protein waffles from Target, they're sweet enough that they don't require syrup. We toast them up, slide them over the straw and off we go! I buy these cups & lids from Amazon (because washing a day old smoothie out of a straw cup is above my pay-grade), these straws and they're ready for the taking. It's always a crowd pleaser and the clean-up is little to non-existent! YESSS.